After trying to retire after a lucrative two-year career in sports journalism, Mike got back into sports but in the administration side. He currently works for the Northwestern University Athletic Department as an account executive working directly with football and men's basketball. 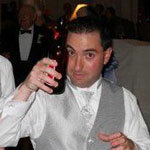 At Miami University Mike was the sports editor for the The Miami Student and also did radio play-by-play for RedHawk ice hockey, football and baseball. Mike is still waiting to see Northwestern basketball play in the NCAA Tournament and the Cubs win the World Series. Temperatures stayed in the mid-to-high 80s all afternoon but that didn’t deter over 6,000 craft beer fans from sampling some of the regions finest beers at the Great Taste of the Midwest this past Saturday in Madison, Wisconsin. 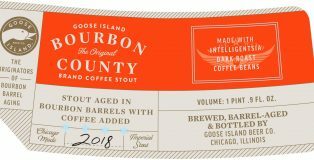 Eight different Bourbon County Stout variants will be available come Black Friday this November, however, the official announcement from Goose Island had several surprises. 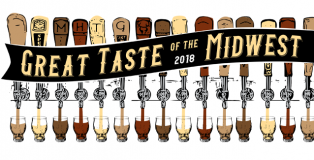 Every second Saturday in August, a large contingent of Midwestern breweries gather on the shores of Lake Monona in Madison, WI for the Great Taste of the Midwest. Believed to be the second longest running craft beer festival in North America, the event features over 190 breweries and around 1,400 different beers for people to try. 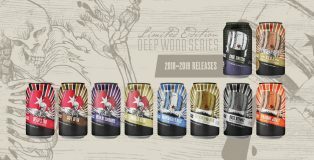 While the calendar might say August, the 2018-19 Revolution Brewing Deep Wood Series announcement shows us that barrel-aged season is just around the corner. 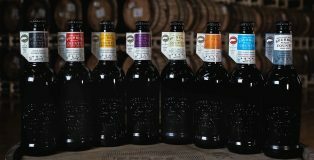 After an incredibly successful 2017-18 release which produced some of the best barrel-aged beers released from any Chicagoland brewery, Revolution is going big this year with a release of ten different beers. 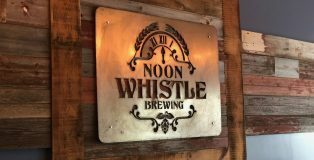 Noon Whistle Brewing beers have become staples on the shelves of craft beer shops all over Chicago and the surrounding suburbs. From pale ales to stouts to sours to their well-known Gummy New England IPA series, the brewery has an extensive portfolio of beers. 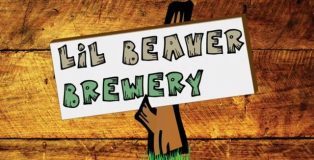 We sat down with owner Mike Condon and their other owner and brewer Paul Kreiner to learn more about this small, but growing (1,900 barrels in 2017 and pacing for 4,100 barrels in 2018), brewery and do a deeper dive on some of their thoughts on topics related to the craft beer industry. 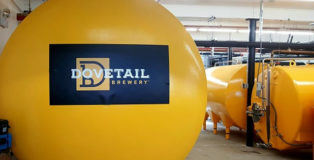 Dovetail Brewery’s Kriek beer has been in the works for almost as long as the brewery has been open. After two years in production, the Kriek, believed to be the first Kriek commercially produced in Chicago, will be released in bottles tomorrow at the brewery. 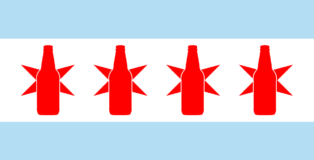 Quick Sips is our way of highlighting beer events, tap takeovers and other notable beer news around the city of Chicago, IL. If you’d like to submit something to be included in the next Quick Sips, please email us at [email protected]. While there are still 137 days until the 2018 batch of Goose Island’s Bourbon County Stout will be released, the hype has started with the approval of a variety of labels by the Alcohol and Tobacco Tax and Trade Bureau last week. Quick Sips is our way of highlighting beer events, tap takeovers and other notable beer news around the city of Chicago. If you’d like to submit something to be included in the next Quick Sips, please email us at [email protected]. 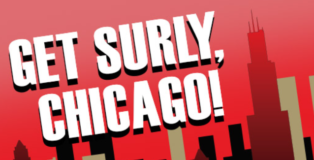 Last year Surly Brewing made it clear — Chicago was a market they wanted to have a stronger footprint in. 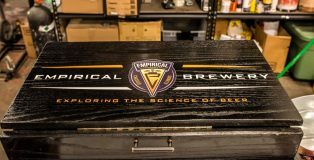 They switched distributors in January from Windy City Distributing to Lakeshore Beverage, AB-InBev’s High End distributor, and have subsequently made an immediate impact on the Windy City’s craft beer scene. 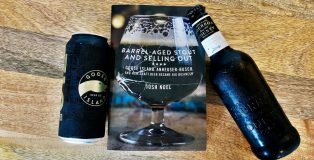 When Goose Island was sold to Anheuser-Busch in 2011, the craft beer industry was a sliver of what it is today. Just a handful of breweries were operating in the city and the idea of a hazy beer would have been blasphemous. With my wife being from Indianapolis, I know that when the calendar turns to May; it’s Indianapolis 500 month. 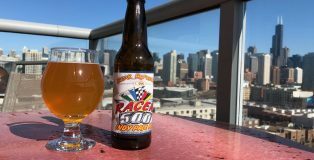 To celebrate the event, Bear Republic Brewing Co., known for its Racer 5 IPA and other racing-inspired beers, has released Racer 500 Indy Pale Ale. The beer is only be available at the brewpub and the state of Indiana. 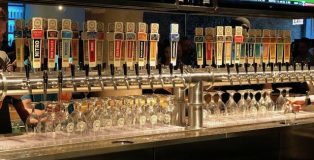 The West Coast meets the Midwest on Tuesday when Ballast Point Brewing Company opens its Chicago brewery in the West Loop neighborhood. The long-awaited opening adds another well-known beer name to the city’s beer scene. 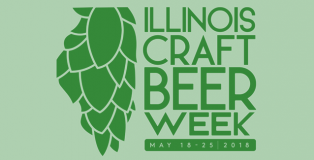 While it seems that Illinois is celebrating craft beer every week of the year, there’s one week in May that is set aside to specifically recognize the role that the Prairie State is playing in the greater world of craft brewing. 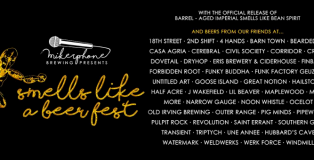 By the time you’re done reading this sentence, tickets for Mikerphone Brewing Smells Like A Beer Fest would have sold out. An exceptionally lucky 400 people obtained tickets to the inaugural event that will be held at the brewery on April 28 which features a star-studded lineup of breweries both local and from around the country. The festival replaces Pale Pauper Day which had been held over the past few years as an alternative to the popular 3 Floyds Dark Lord Day. Chicago has always been a weekend destination as people look to explore the city’s rich history, culture and of course, have a slice of deep dish pizza. 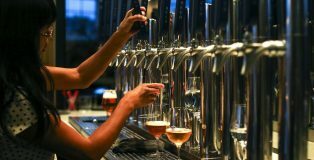 It’s also now a place where craft beer fans can indulge in the wide array of breweries that the city offers. If anything, it might be overwhelming when trying to think of how to tackle all the breweries within the city limits. Spoiler alert—it would be virtually impossible to visit every single brewery in a weekend. So if you’re coming to Chicago for a weekend, here’s a guide on how to get the most out of the Chicago craft beer scene in a limited amount of time. Understand that like I said above, it would be virtually impossible to do every brewery, so I had to leave some out. It’s nothing personal and you can alter this itinerary however you like. You’ll also notice that there are no suburban breweries on this list. I’ll be doing another itinerary in a couple of weeks that will focus on just suburban breweries—don’t worry guys, I didn’t forget about you! This year PorchDrinking.com is pairing up with two local Chicago bottle shops for two great events during Illinois Craft Beer Week. 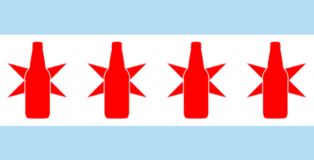 Both events are designed to introduce the city to breweries that are new to Chicago or are out in the suburbs and might not be well-known to people living in the downtown area. 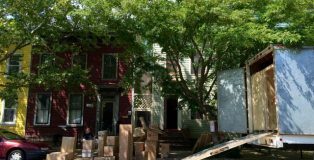 Let me start by saying that I’m currently in the process of writing this Ultimate 6er while packing up and moving, so I hope that earns me a bit more credibility with this post. There is nothing that’s needed more than a beer while moving, and six beers is probably a good number to have at the very minimum. All the big names were at the Goose Island Brewpub for the return of Stout Fest. While well-known and established breweries like Half Acre, Pipeworks, Goose Island and Revolution were pouring some great stouts, it was a small brewery from Bloomington, Ill. that stole the show.